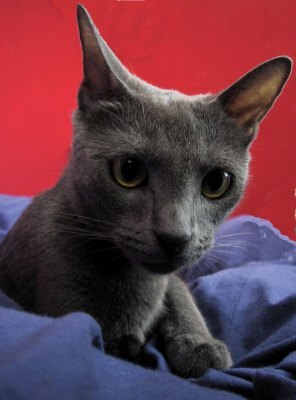 My cat, petra, taken in my bed. 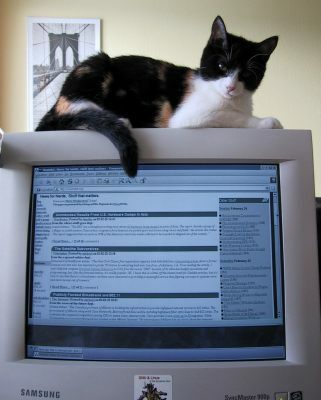 My ex-cat; Maggie, taken at work. If for some reason you need to give me a present or bribe me then here are some suggestions, you could also look at my actual wishlist if you want. American diner with the best burgers and milkshakes in Aarhus. Not so much a restaurant as a very well stocked pub. Arran, no age: Very young (they only started in 1995 I think) but still interesting. Bowmore, no age: big (1l), cheap and good for cooking, I ran out it seems. Glenlivet, 12yr: Smooth and a little one the light side. Macallan, 12yr: Good, but not fantastic taste, I much prefer the Glenfarclas to this one. Highland Park, 18yr: Exelent, complex, yummy. Glenfarclas, 12yr: Almost as good as the 21yr old, but a great whisky in its own right. Lagavulin, 16yr: Briliant, strong, salty, big, the first bottle I emptied, this is number 2. Dalwhinnie, 15yr: Light and fruity, perhaps a little too light. If you are in need of a present (or a bribe) for me then print this page and show it to the local whisky dealer and he will have at least 10 different bottles all over the pricerange that I will like. 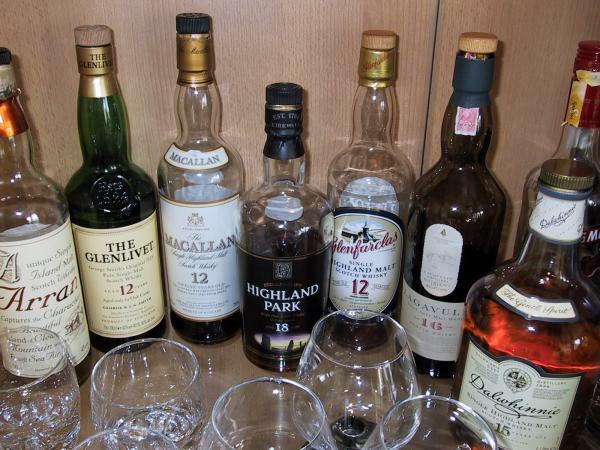 However a rough guide is: Scotch, Single malt (no blends! ), older than 12 years (the optimum age depends on the particular malt), but no glenfiddish (good for children and older people, though) and nothing I have on my shelf already (that would be boring).